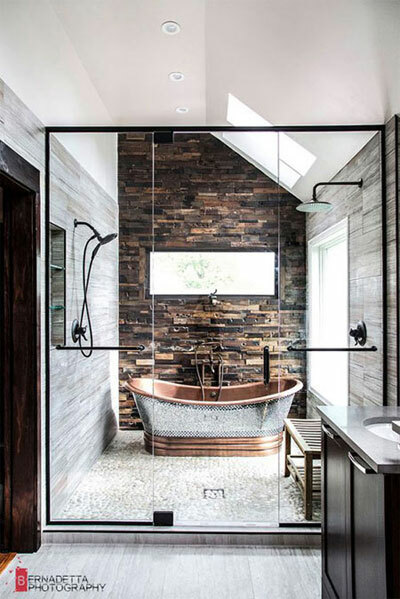 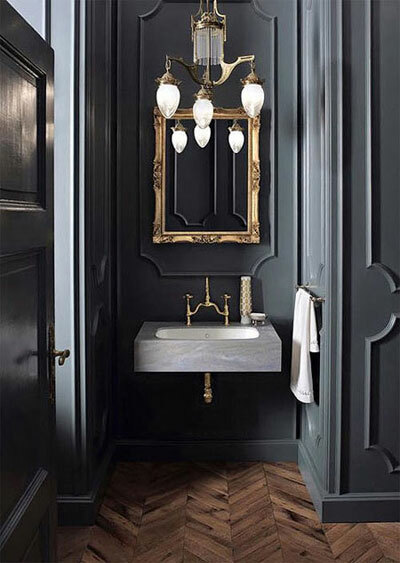 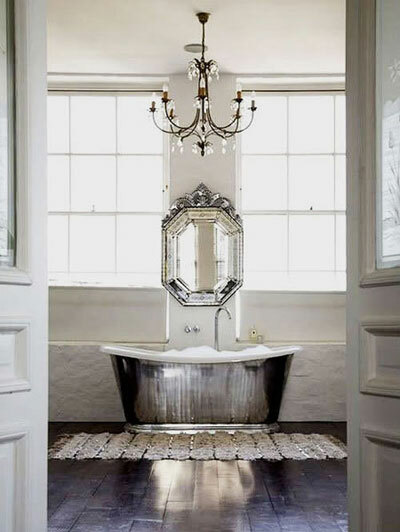 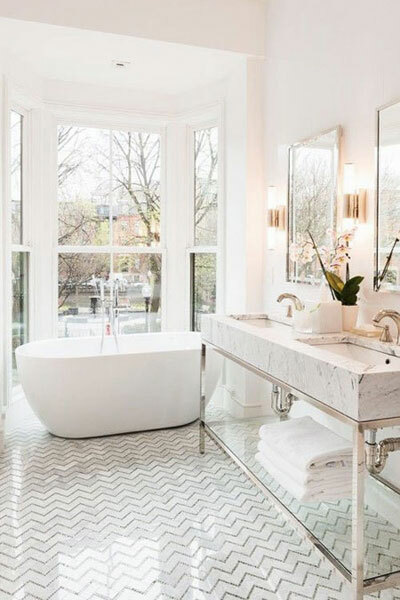 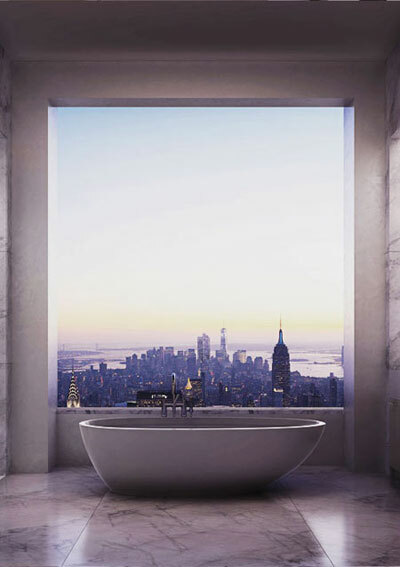 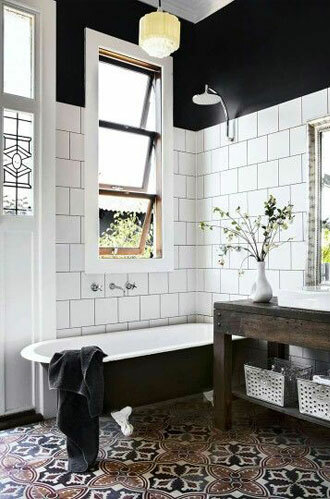 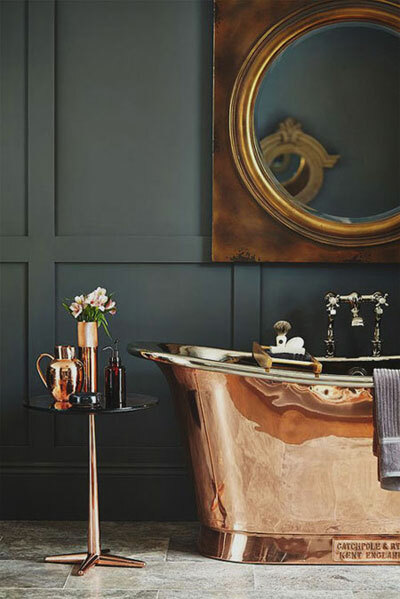 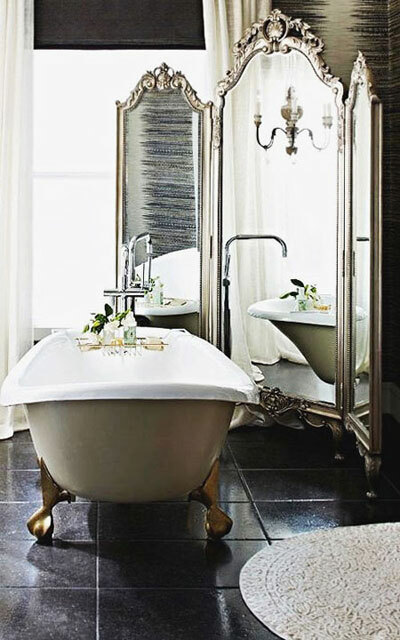 Need inspirations for designing your bathroom? 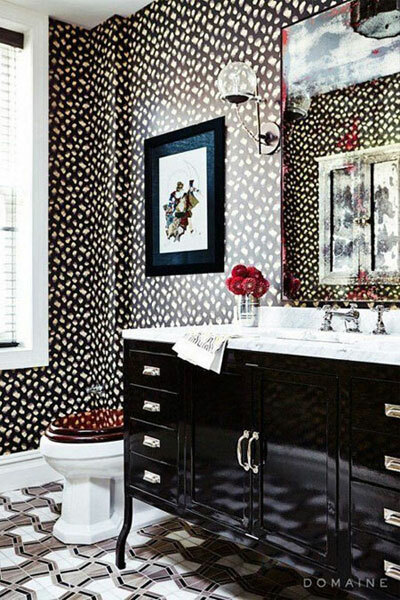 These 20 interior design photos are must-see. 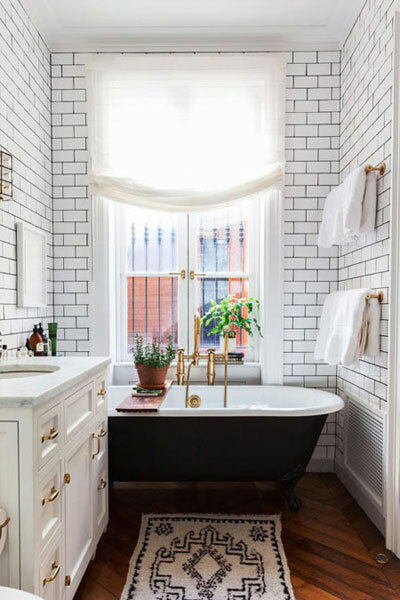 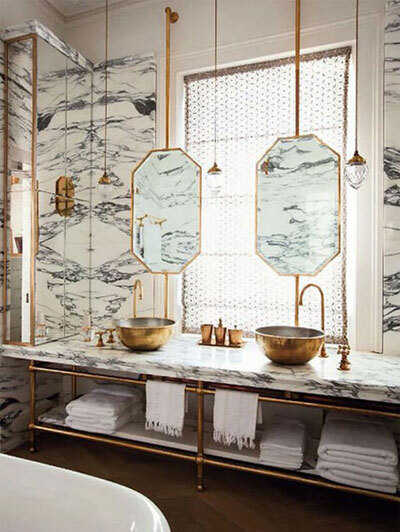 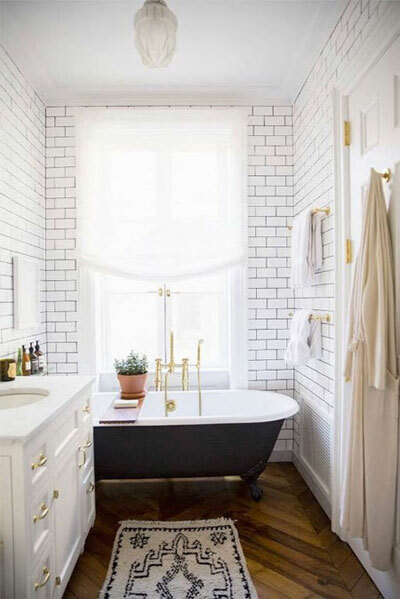 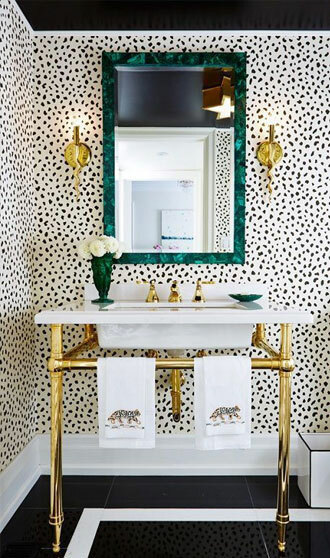 There are so many details we love about each one… from marble finishes, gold fixtures, to subway tiles. 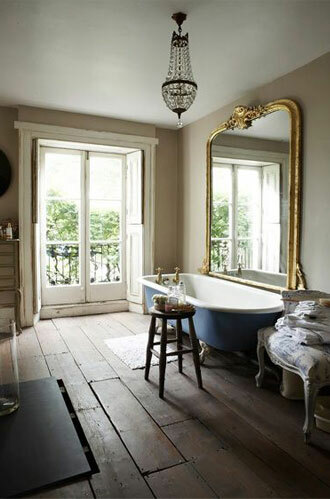 And yes, especially the tubs! 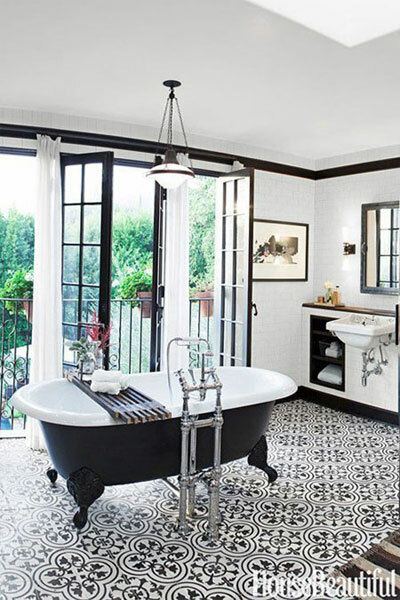 A few are more open-layout than the traditional rectangle space. 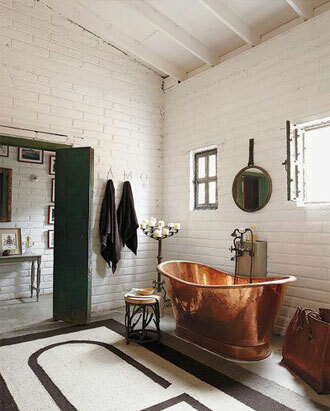 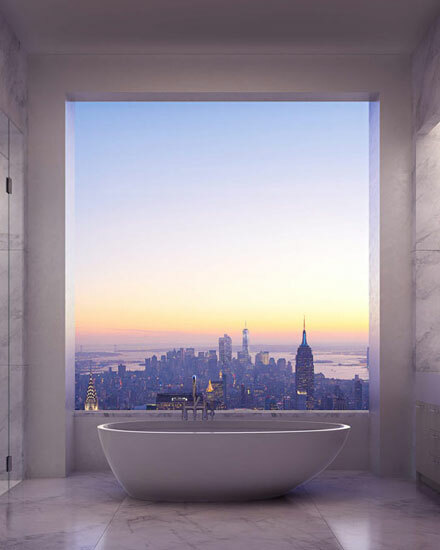 When you have a bathroom like this, why hide it?